A member of APGA Board of Trustees, Chief Rommy Ezeonwuka, has called on members of the Indigenous People of Biafra not to scuttle the forthcoming November 18 elections in Anambra. Ezonwuka told newsmen in Oba, Idemili South Council on Wednesday that the no-election-in-Anambra song by the agitators was both illogical and out of tune with modern reality. He said it would amount to cutting off one’s nose to spite his face, as not holding the election would further worsen the plight of not just the agitators but the innocent people in Anambra. He said, “The call for no election lacks sense. It is not in tandem with modern world, especially in democratic societies. “What are they even clamouring for? If it is Biafra, they already have it because their councillors, local government chairmen, even governors are their own people. Ezeonwuka, who is the founder of Ogirisi Foundation, a sociocultural group, blamed the army of youths available for IPOB agitations and rallies on joblessness. The cultural leader said successive government had been unfair to the youths through their inability to provide business and economically viable environment for them to be gainfully busy. 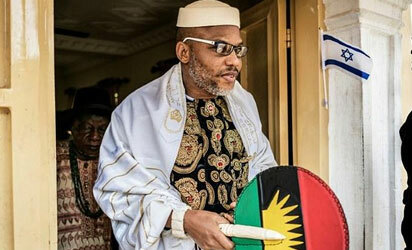 He said that if the youths calling for Biafra and agitating against democratic election had something to keep them economically busy, they would not abandon it. “What you see is a sign of frustration; they (youths) have been deprived of their rights by governments in the South-East. “My opinion is that leaders in the zone should not just talk with the youths but devise a way to build the regional economy for youths just like Taiwan is a big economy under China,” he said.